Lease car insurance | Exploring whether your lease contract includes car insurance. 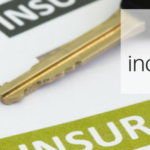 Exploring whether your lease contract includes car insurance. Your car lease is inclusive of things like road tax and manufacturers warranty, but does the lease include insurance? We'll look at the different types of car insurance and what level of cover you should choose if you have a lease car. As well as answer the question 'does my lease include car insurance?' There are three types of insurance for your car. These are Fully Comprehensive, Third Party and Third Party, Fire and Theft. You are legally obliged to have car insurance. The minimum requirement is to have third party insurance. But what are the differences between them?